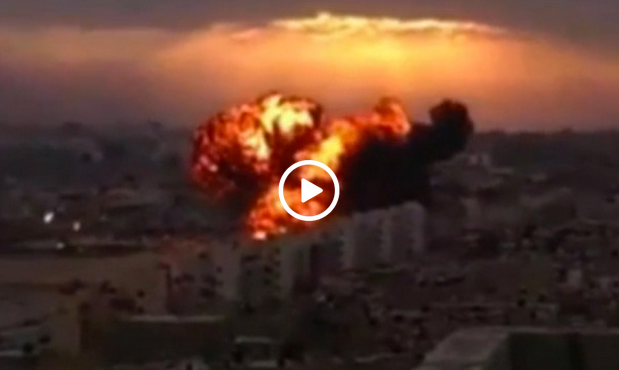 VIDEO – Fighter Jet Crashes In City Killing 5. Footage has emerged showing the exact moment a MiG-21 fighter jet crashes into a residential area in Tobruk, Libya. 5 people have been confirmed dead and 9 people injured. The pilot and 4 passengers were the fatalities of this crash. The footage was filmed from a rooftop and appeared on YouTube shortly after the crash. The accident happened during a military event to honor a pilot who died in a previous crash last week. Both crashes are believed to be caused by technical failures. CLICK HERE —> TO LIKE DAILY BUZZ LIVE ON FACEBOOK! Can You Guess What This Woman Stole $144 Worth Of? They Were Photo Bombed By Ghosts, These Pics Will Creep You Out!